Fun Fact Number One: I’ve only taken ONE copywriting course so far. Fun Fact Number Two: I’m super selective and painfully frugal when it comes to investing in our business and in my learning. Fun Fact Number Three: I’m known to tell people NOT to buy courses and products, even my own, especially if I feel they’re succumbing to “shiny object syndrome” rather than accomplishing a marketing goal. With all these fun facts in front of you, let me today introduce you to my personal copywriting mentor, Ray Edwards. My introduction to Ray started when I bought his book, How to Write Copy that Sells and read it in one sitting. Then I read it again and took notes. Copious amounts of them. I’m not new to copywriting and I love that I have Bushra Azhar’s Mass Persuasion Method to bank on for persuasive superpowers but Ray was able to simplify AND supercharge the entire process of writing copy for sales pages, emails, ads, and even, blog content with his proven strategies, tested techniques and swipeable templates. Naturally, I wanted to know more… so when I was invited to share Copywriting Academy with all of you, I knew I had to test it out first for myself to see if it’s really worth all the hype. After all, Ray is copywriter to the internet stars – Tony Robbins, Michael Hyatt, Frank Kern, Jeff Walker and so many more. Plus, at a $2K price tag, it did blow me away that he was packing in SO much value but again, would it all be worth it? I took the Copywriting Academy for a spin and I wasn’t disappointed at all. Not only does Ray share his entire copywriting framework and structure with you, he shows you exactly how you can do it so you can walk away not with a head filled with strategies but with a handful of high-converting copy, written up. You guys, I put Ray’s teaching to the ultimate test – writing copy for clients. I wrote emails using the framework he recommends and clients LOVED them. I wrote sales copy and it converted like crazy. Only when I knew it worked, I knew I could share it with all of you. So, here’s the deal… Ray’s opened up enrolment for Copywriting Academy and it’s all so shiny and new!! SO fun!! PLUS… he’s throwing in some amazing bonuses, including tickets to his almost-always-sold-out Live event. Those tickets are $5K alone each. And you get 2 of them!! He’s packing in years of expertise and experience in Copywriting Academy so you can walk away with not just knowledge but also, practical experience. Yeah, he’s cool like that! And, best part? He’s priced it at a ridiculously low $2000. Now before you yell… “Prerna, $2k isn’t low! !” Check out everything that he’s giving you. When you see that, you’ll know what I mean when I say it’s low. And remember, I’m very careful about my dollars and cents. Yep. 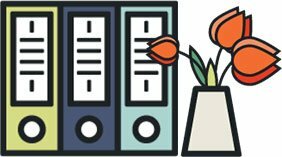 Maybe your business needs no copy. Now I, personally, don’t know of any such business but maybe you do have a business where you don’t need to use the power of words to woo wallets and hearts. If so, sit this one out. Absolutely. But if you do have a business where you need to connect with customers before your convert them… yeah, get on to the Copywriting Academy bandwagon right now!! With Ray’s strategies and principles, anyone can write copy. I didn’t say this… he did. I just took him on his word and tested out what he taught and it worked. BUT if you’d much rather learn how to write copy so you don’t have to pay copywriters, like me, then… here’s the place you need to go to. The truth is there are a LOT of courses out there and not all of them are what they say they are. I’ve personally spoken to so many entrepreneurs who’ve taken courses that have miserably failed to deliver and they’ve been out of pocket by several thousand dollars and many frustrating hours. THAT is why it was SO important to me to personally join Copywriting Academy and study the material before recommending it to you. If you’ve been burnt in the past by a less-than-stellar course, know that, I hear you. And honestly, so does Ray because he’s covering your back with his Weasel-Free 100% Money Back Guarantee that gives you a full 30 days to work your way through the program and be shocked, awed and amazed by it. 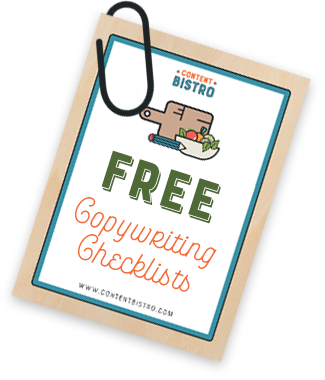 Now… If you think your copywriting can help you land easy $5K and $10K projects without hustling endlessly, you’re golden. Don’t sign up for this course. Financial stewardship is one of our core business values and that is why I need to put this out here. If taking the course would mean adding to a mountain of debt, then I implore you to step away, put away that credit card and instead, use Ray’s free resources such as his podcast and blog to learn. Yes, your journey may be slower but you’ll be less stressed. 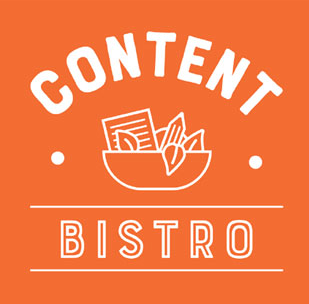 Why you should or shouldn’t invest in the only copywriting course I’ve ever taken so far. Have a question? Ask me in the comments! Don’t have a question? Run to Ray’s info page and get ready to craft crushworthy, high-converting copy in your sleep. 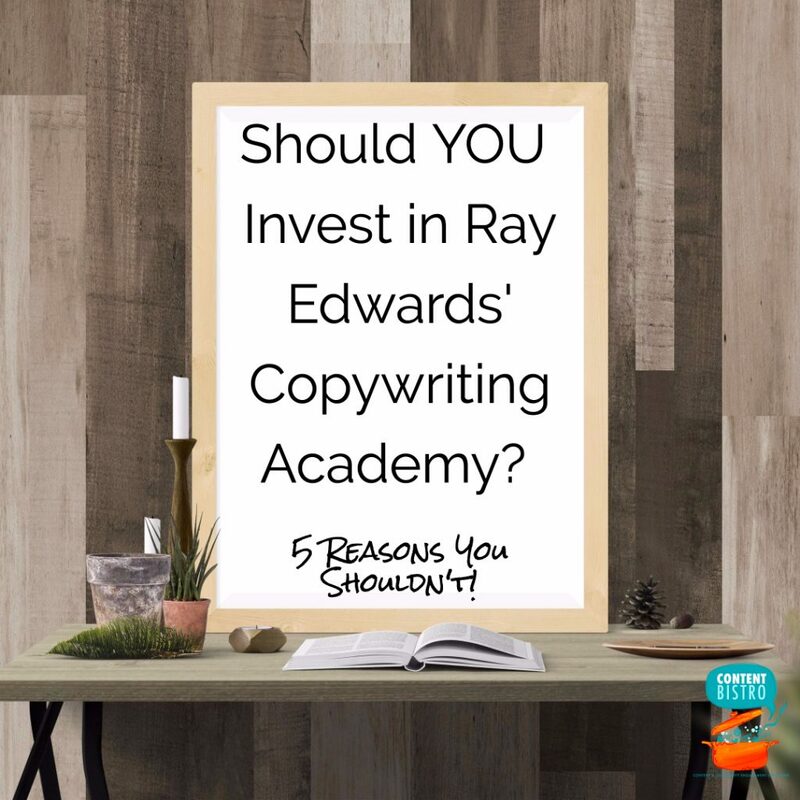 Full-Frontal Disclosure: I’m a proud affiliate for Ray Edwards’ Copywriting Academy and will earn a commission if you would buy using my link. You wouldn’t pay anything extra but I’d get to add some change to fuel my Nutella-and-Starbucks addiction. That post in itself was an amazing piece of copy. Well done.